Capturing Changes In The Way We Connect : 13.7: Cosmos And Culture Photographer Jacob F. Lucas put together a book called Commute Culture, addressing how technology is changing human connections. Commentator Marcelo Gleiser caught up with him for an interview. After reading a recent post of mine focusing on whether we should be living our lives, or capturing them, photographer Jacob F. Lucas got in touch. He recently put together a book called Commute Culture that addresses this same topic through pictures. Why did you feel compelled to create a work of art on people's attachment to their digital devices? About six or seven years ago, I used to take public transport around the city quite often. This was a time when smartphones and other such digital devices were not as ubiquitous as they are today. People would talk to each other about whatever they felt like — be it idle chitchat, or a discussion about whatever happened to be the current news headline of the moment. 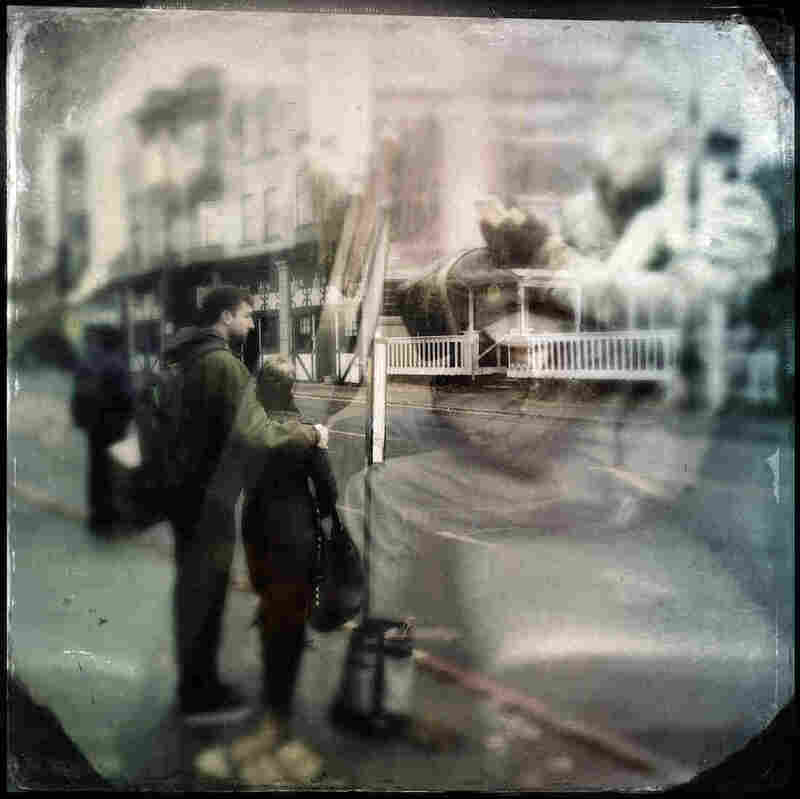 Within those confines of public transportation, perfect strangers struck up conversations. Recently, I began taking public transport again and I was shocked at the stark contrast between the norm back then and the norm today. With the advent of this flavor of modern technology, everyone around me now had a portable electronic device that magnetized their attention. The more I noticed this behavior, the more I thought about what people are missing by devoting such high amounts of attention to these devices. 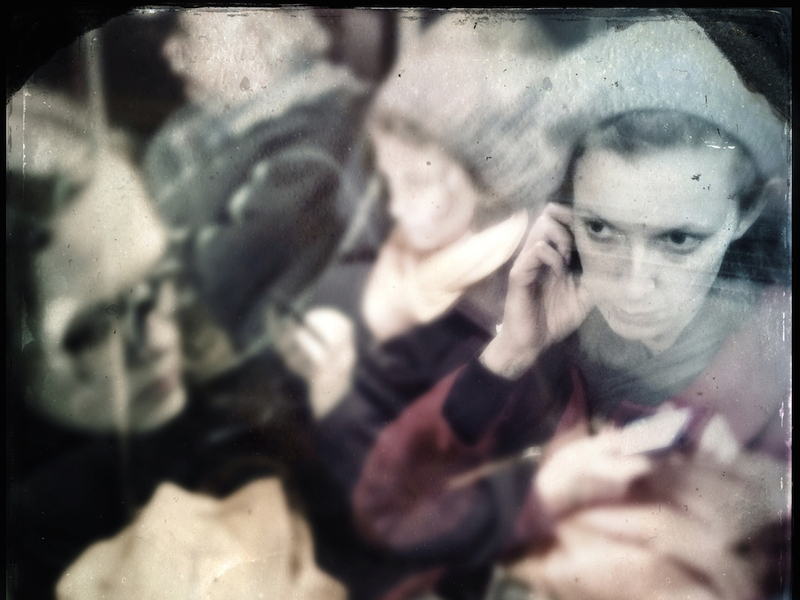 Commute Culture is the outcome of an exploration into this cultural shift, through photography. Do you fear this is a serious problem? In what sense? I think it's becoming an increasingly serious problem as these devices begin to perforate more and more aspects of our society. In an age where there's a mobile app for everything and each of them is wired up to social networks, the amount of time we begin to spend on devices is growing at an alarming rate. The problem is exacerbated in that by nature, humans are social beings. We inherently seek out a connection with others — family, friends, lovers, even strangers. With seemingly unlimited access to social networks built into smartphones, we have the ability to collect new friends in numbers we could never have dreamed of before, thus appealing to this need we have to connect. Social networks are continually encouraging the ignorance of quality friendships in favor of quantity of friendships. Those with fewer online friends can become jealous, which promotes the need to give even more attention to devices in order to seek out more friends. The side effect of the desire for this connection and the need to have our attention stuck on smartphones and other devices is paradoxical — while people seek to increase connection with others they are actually minimizing (or even losing) those connections that are real and matter most — the ones out there in real life. These virtual connections we keep online are merely an illusion of true connection. How do you see the current tendency progressing? Should something be done? I think this social trend left unchecked could become even more ubiquitous than it already is. We're in an interesting point in time right now where we have generations of people who have spent a large percentage of their lives without these devices. The elderly are just seeing them for the first time, relatively recently in their lives. Conversely, Generation X and Y have been introduced to them midway through their lives. Millennials have just about grown up beside them. Fast-forward only a handful of years and we'll see a shift where most people will have grown up not knowing a life without this technology. Concurrently, these people will grow up, lacking in areas of developmental skills needed for relationships due to the lack of face-to-face contact with others. This is something that installing an app won't fix. Similar to how children are taught about history, religion, mathematics and science, digital education needs to become important in our development as humans of the world. It's important that future generations know how to create and maintain true, physical connections with others without the aid of an electronic device. What do you see is the role of art in critiquing society's trends and fashions? Art is one aspect of our culture that I believe is universal. The famous and impactful works of art that have remained famous throughout the years have done so because their meaning is something that transcends time and place — not just because they may be superficially beautiful, or otherwise visually appealing. Art offers opinion on aspects of our culture, and helps us as both creators and as viewers, to develop skills such as analytical thinking, communication and expression. One of the great things that art can do is open up the viewer to draw their own interpretation on the work. There's a voice in the work from the artist as their opinion on the subject matter, but what all genres of art (and especially photography) do is engage the viewer, and force us to draw conclusions of our own. These conclusions are often different depending on the viewer, and are often different from the original intent of the artist. By encouraging such a broad spectrum of reactions, art asks each of us to question our views, and think about issues from a different point of view. This is how universal art becomes so effective on society — over time, generations of people can be impacted by a body of work to a point that invokes change. How do you feel we changed in the past decade or so because of the widespread use of digital devices? It's interesting to think back over the last 10 years and think about what has changed. So many aspects of our lives have changed thanks to digital devices — and in many cases for the better. Simple things like planning parties and inviting guests, getting directions from Point A to Point B, shopping for groceries or gifts — they can all now happen in the palm of your hand. But what do we sacrifice for the price of convenience? We miss out on the little things like serendipitously bumping into a friend at the supermarket. We miss out on writing actual letters to friends. We miss out on real, physical connection with other people. These little things have all but vanished from modern society, and have left a very large void. If you could predict the future, where do you see this tendency taking us? I'm hopeful that this tendency with portable technology will be consistent with technology fads that rise and fade with time. Lifestyle problems that truly need solving through technology (think Uber for taxi services) will have solutions that will likely remain through the lifetime of the technology. While companies are continuing to innovate in the field and deliver solutions like Uber to real-world problems, I think in the near-term future, the attention that we as a society devote to devices and notifications is going to keep increasing. My hope is that as this tendency increases, so too does the awareness of the side effects that come along with these technological "solutions." If this trend continues into the future, humankind will be afforded a previously unknown power to maintain constant links to others, but it is one that also has the potential to unravel the concept of what it means to connect with each other. Technology should serve to enhance how people experience our world, and not as a substitution for experience itself.